There’s Cold Weather Ahead: Is your ‘skin care wardrobe’ winter-ready? You may have already taken your sweaters out, and moved the winter coats to the front of the closet. It’s that time of year again. Just like your clothing wardrobe changes to make the seasons tolerable and enjoyable, changes in your skin care routine can help you transition through changes in climate. Consider a switch to a richer moisturizer in the winter months. Dr. Erickson’s winter favorite, Obagi Hydrate Luxe, consistently delivers moisture for 8 hours after application! In addition to it’s hydration-boosting qualities, its luxurious and velvet-like texture makes it a joy to use. Don’t give up on your anti-wrinkle treatment, swap it out! Even if you’re a seasoned tretinoin pro, extremely dry winter months can cause even your usual products to dry out the skin. Avoid ditching your evening exfoliant (for fear of excessive dryness) by swapping your Tretinoin cream for Renova. Renova is a gentle –yet still prescription strength- wrinkle-fighting tretinoin in a creamy, emollient base. With Renova’s moisturizer-like qualities, you won’t miss a beat of your anti-aging routine, no matter how cold and dry it gets! Winter sun is just as harmful as the sun all year ‘round. Be sure to keep up on your antioxidants and sunscreens to prevent damage to your skin. To boost hydration, brighten, and protect, we love TNS Essential Serum. Hylauronic Acid plumping spheres smooth fine lines for instant gratification during party season, while a creamy blend of peptides and antioxidants protect and nourish. 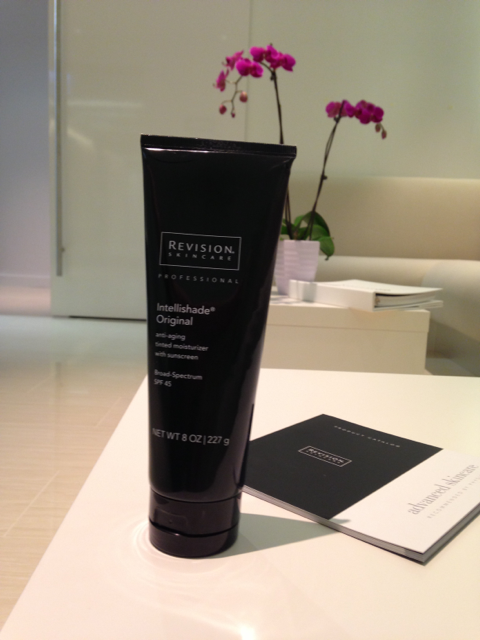 All products mentioned above are available at Erickson Cosmetic Dermatology. Regimen assessments and consultations are complimentary. 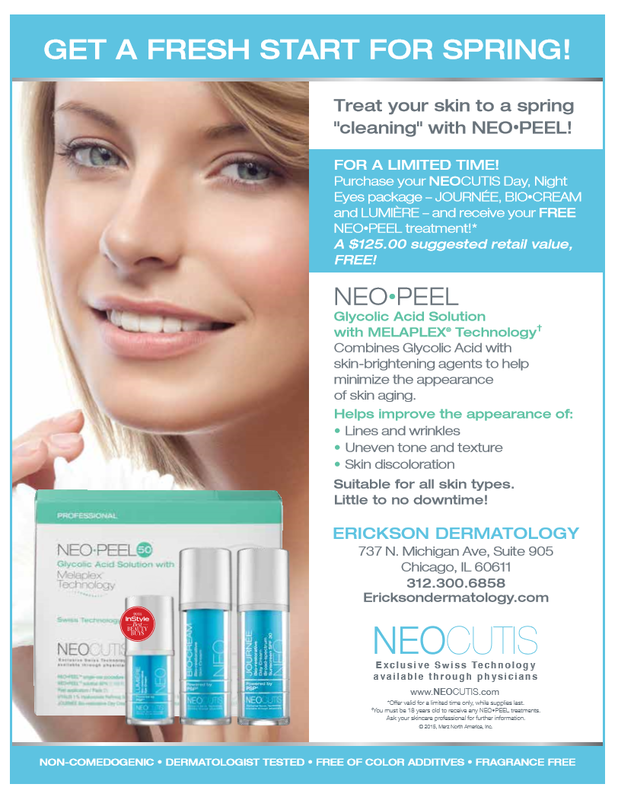 It’s a Peel Party, Chicago! Call Today! We’ve received some really good skin-related questions from our patients and friends, and thought we’d like to share Dr. Quenby Erickson’s comments and thoughts in response. 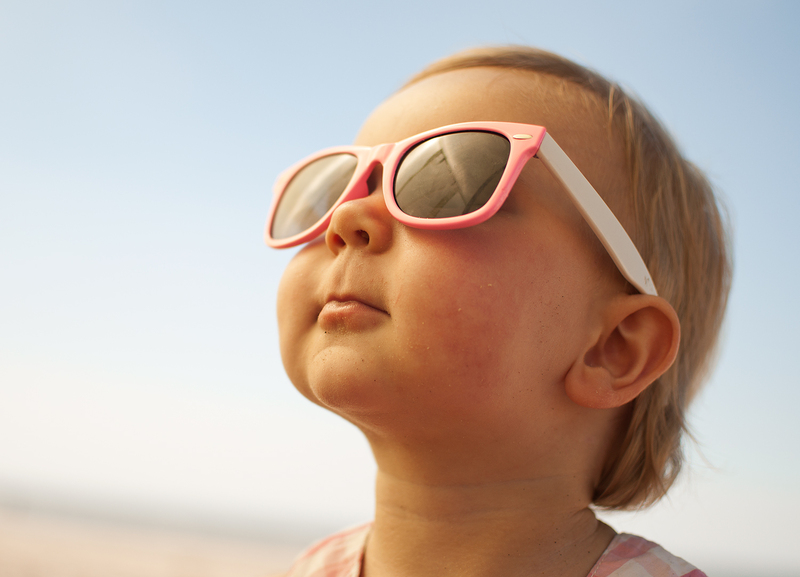 A: “Gentle products with Titanium Dioxide and Zinc Oxide (physical sunscreen elements which reflect and scatter UVA/UVB). 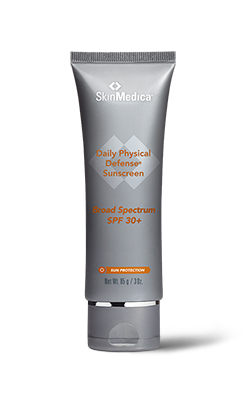 Products that contain these ingredients include SkinMedica Daily Physical Defense, Neutrogena PureScreen, and Obagi Nu-Derm Physical UV Block (which contains a whopping 18.5% zinc oxide!)”. So, no matter what your age, play it safe out there this summer! ‘Mom, I am WAY too cool to be out in the sun like this!’ Get the Kiddos indoors during the midday when the sun is the hottest. Interested UPF clothing? Click here to check out Coolibar, one of Dr. Erickson’s favorite UPF brands. The SkinCare Team at Erickson Cosmetic Dermatology Chicago: We love Obagi! We love keeping up on industry trends and new developments in all-things-skincare! Thanks for the inservice today, Obagi Medical Products! Today we were happy to host our own inservice with Laura from Obagi Medical Products. We love keeping up on industry trends and new developments in all-things-skincare! Thanks for the inservice today, Obagi Medical Products!